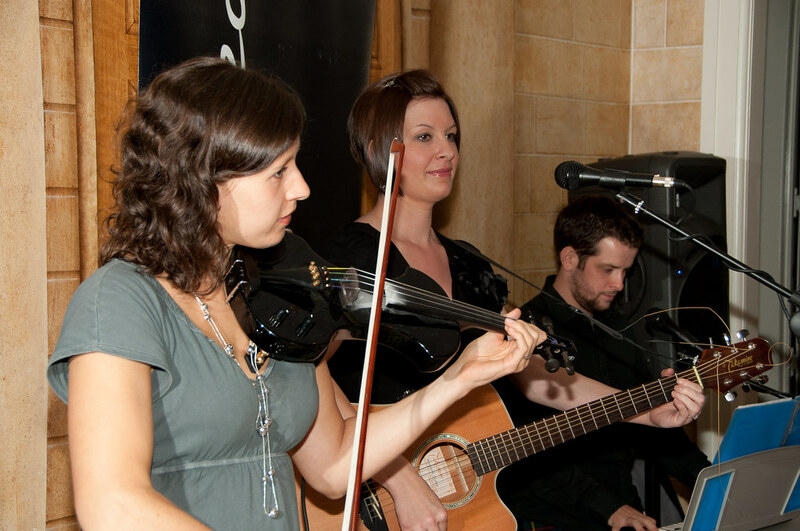 Jiggered Ceilidh Band formed in 2002, while its founder members were studying at Strathclyde University. Since then we've not stopped spreading our unique Jiggered sound as we've performed literally hundreds of ceilidhs across the UK. 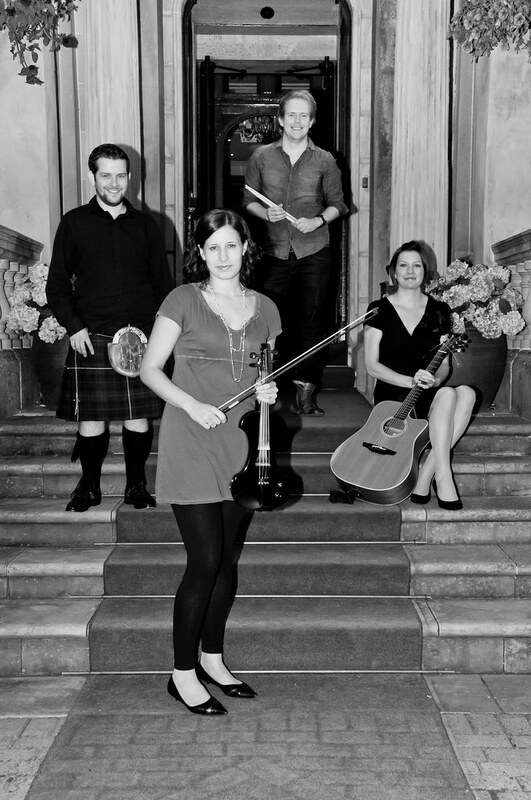 Jiggered are a four-piece Scottish ceilidh band. You'll find no accordion in our line-up. No bagpipes, flute, tin whistle or bodhran either. 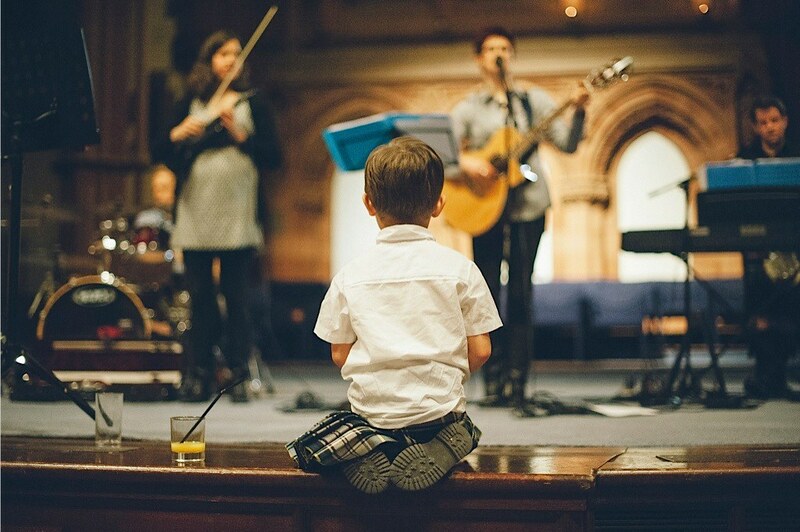 Expect, instead, to see a guitarist, drummer, fiddler and pianist. 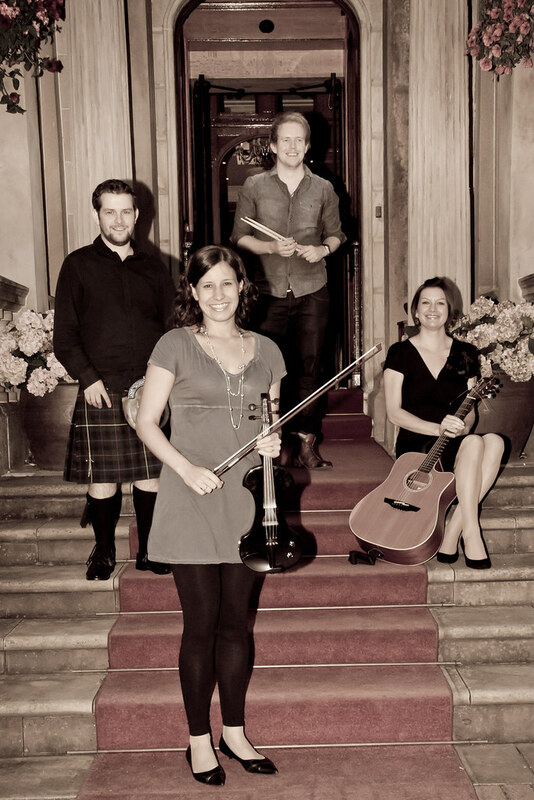 We are still definitely Scottish and definitely a ceilidh band but this less conventional line-up of instruments and the blend of traditional Scottish ceilidh tunes with other songs provides a more contemporary and lively sound [to hear what we're talking about, listen to our demo tracks here]. 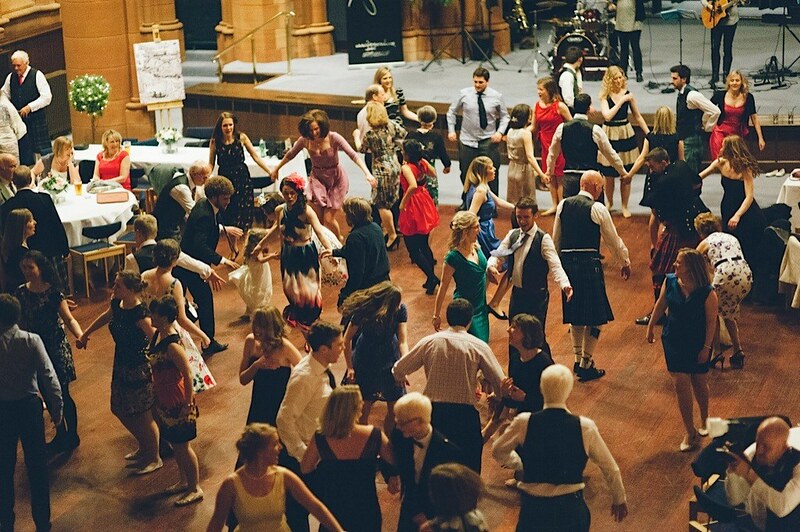 And don't worry if you're a bit rusty or have never ceilidhed before - Emma will provide full instructions for every dance. 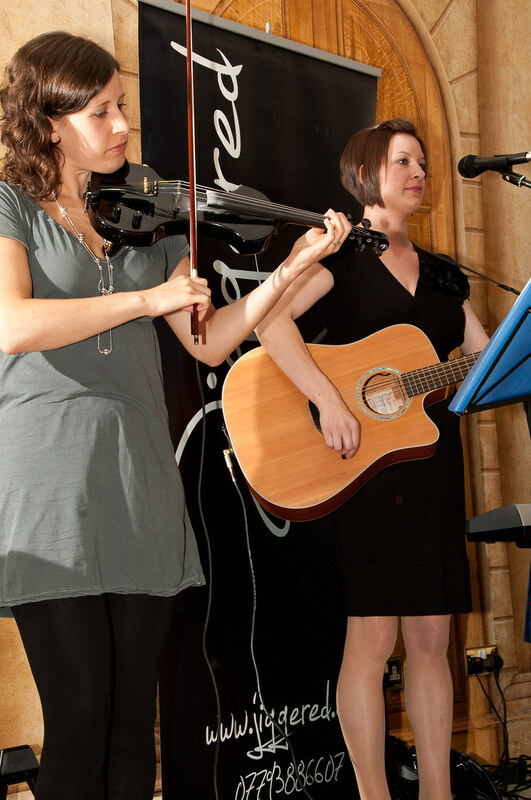 In recent years, Jiggered have become incredibly popular as a wedding ceilidh band. We know that each bride and groom has distinct ideas about how their wedding reception should be. By accommodating these specific requests we now have loads of satisfied newlywed clients. 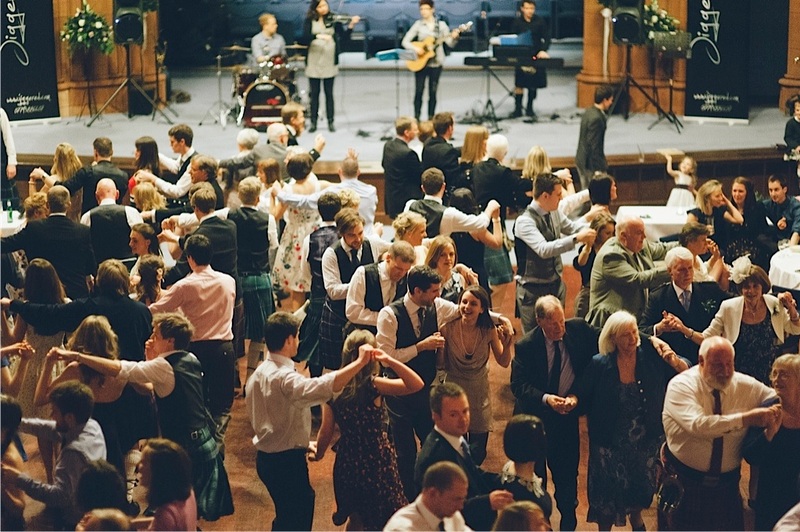 Of course, Jiggered don't just do wedding ceilidhs- we do school ceilidhs, Christmas ceilidhs, church ceilidhs, Hogmanay ceilidhs, party ceilidhs, Burns' Night ceilidhs, battle-of-the-bands, birthday ceilidhs, fundraising ceilidhs, St Andrew's Day ceilidhs...any excuse for a ceilidh! 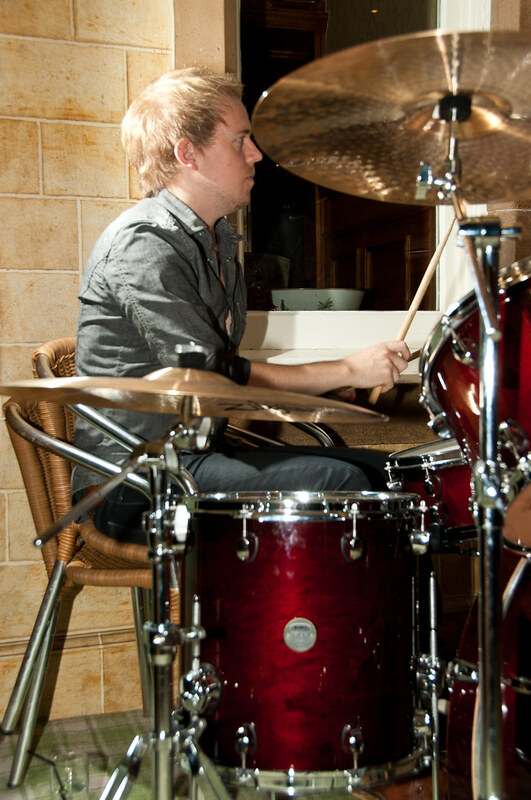 Over the years, Jiggered have played in a variety of locations: in back garden marquees and castles, in 5-a-side football centres and exclusive 17th century country houses, at primary school Christmas dances and glamorous weddings, in small churches, nightclubs, pubs and famous concert venues like the Corn Exchange in Edinburgh. In a typical Jiggered set, you can expect the following favourite ceilidh dances: Gay Gordons, Dashing White Sergeant, Virginia Reel, Eightsome Reel, Strip the Willow, St. Bernard's Waltz, Hooligan's Jig, Canadian Barndance, Military Twostep, Orcadian Strip the Willow, Follow Reel, Cumberland Basket...plus many more. Finally, any unfamiliar with the finer points of the Scottish language might find the following definition useful: Jiggered (adj.) -(Scottish slang) Worn out, exhausted. Jonathan and Katharina celebrated their wedding at Dalmahoy Country House. 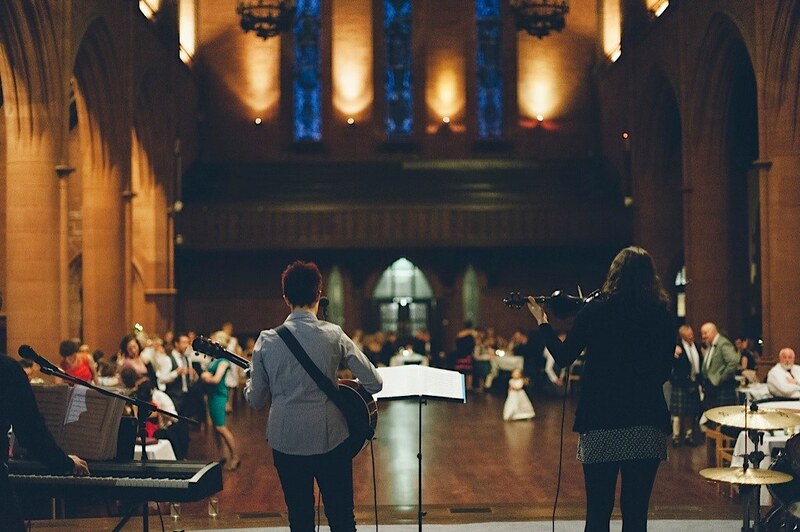 It's a lovely venue just outside Edinburgh and we've enjoyed playing there a few times. 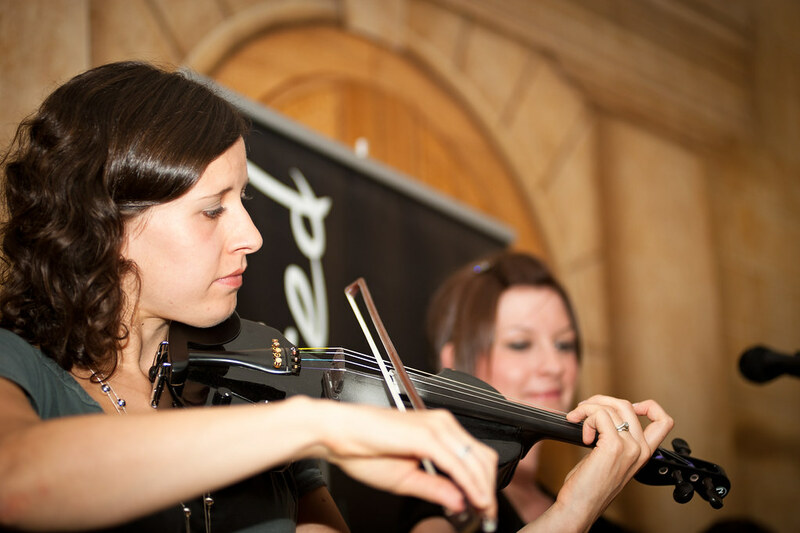 The new Mr and Mrs McLatchie have serious ceilidh pedigree in the family- Jonathan's sister Lois played fiddle for Reel Guid before she moved to Geneva to work for the United Nations! 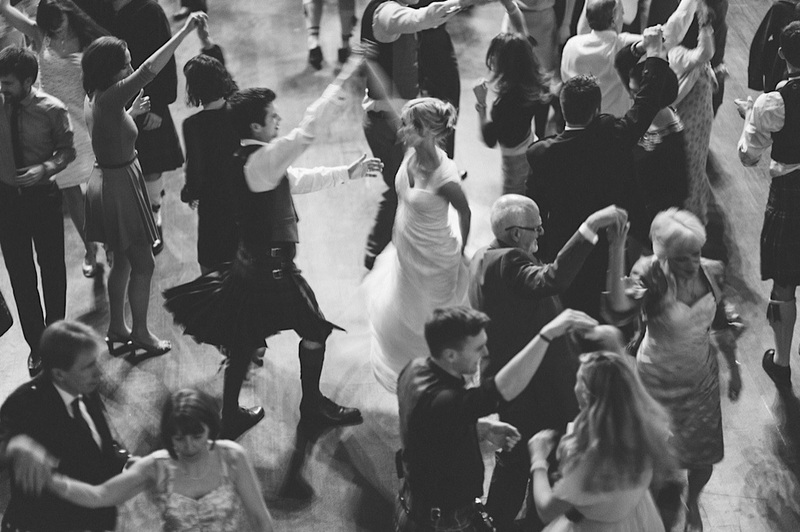 So it was a real honour to be chosen as the ceilidh band for this Scottish-Austrian wedding! A wonderful evening, with glorious wedding in the middle of Easter weekend! Fantastic.